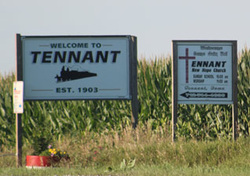 Tennant is located in Shelby County and is one of the most beautiful and bountiful communities in Western Iowa and is surrounded by prosperous farming and livestock raising. 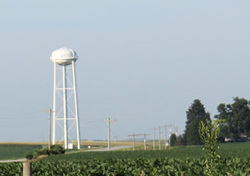 The town was platted with the coming of the Chicago-Great Western Railroad in 1902. Trains began running in 1903, and continued until the abandonment of the railway in 1971. Annual event held late June/early July. Festivities include garden tractor pull, children's games, food, refreshments, homemade baked goods, raffle, etc.